It’s just SanibelSusan at the office today following our chilliest morning of the season yet – 48 degrees F this morning, though it now has warmed up to 64. From the forecast, it looks like this will be our last cold day for a while. Temperatures are expected to get back into the high 70’s/low 80’s before the weekend ends, and continue into next week. 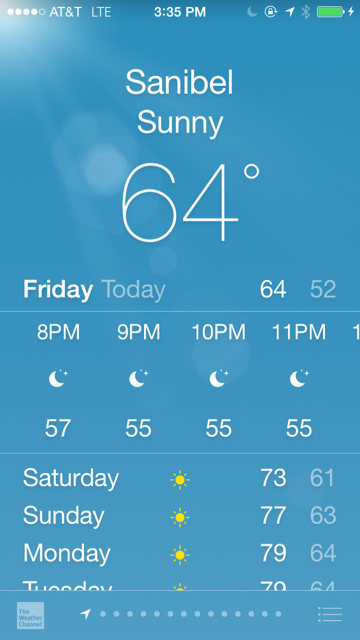 We probably will be wearing shorts again by island luminary nights next weekend, December 5 and 6. Thanksgiving Day on the island was clear and cool. Lots of families are here vacationing. It’s a great start for the Master Arts & Crafts Fair which began today at The Community House across the street from Sanibel Square. This usually is one of their most attended events of the year, so The SanibelSusan Team is hopeful for some walk-in traffic. 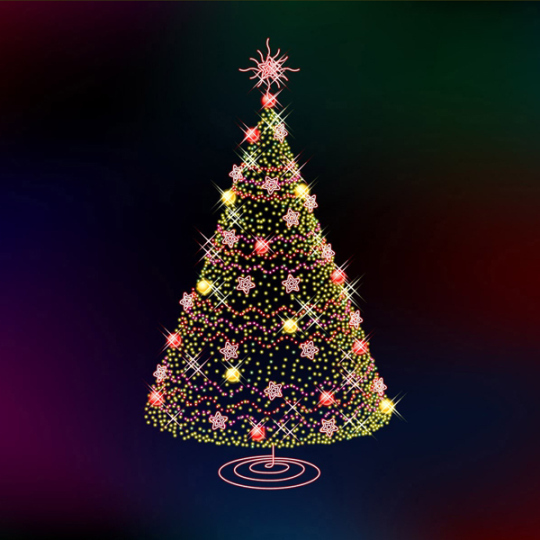 The BIG ARTS Community Chorus sings two sets there tomorrow (Saturday) morning and then sings again tomorrow night at the South Seas Plantation tree lighting – all good practice for our Holiday Concert which is Tuesday, December 9 at BIG ARTS Schein Performance Hall. Tickets are going fast! Below are a couple of real estate news articles followed by the activity posted in the Sanibel & Captiva Islands Multiple Listing Service over the past seven days. “The housing market has seen plenty of challenges the last few years, but could brighter days be ahead? Based on recent housing reports, some markets are reporting a rosier picture now than for the first half of the year — and growing optimism heading into next year for a lasting turnaround. Susan says: Most island sales continue to be “cash”, but the consumer confidence generated by the low interest rates definitely helps the market on Sanibel and Captiva. For those buyers looking to finance, the good times continue. The time is right for a real estate loan! On Sanibel and Captiva, home sales also continue to improve. 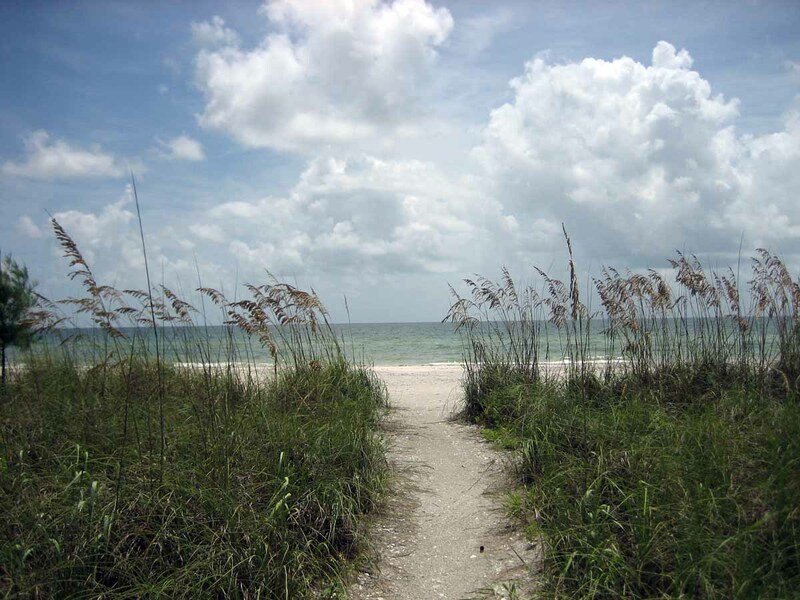 Last year, 197 homes sold on Sanibel. Year-to-date, there have been 187 closings with another 29 Sanibel homes under contract = 216 which is the first time the number of Sanibel homes sold has passed 200 since 2005 when 266 homes sold. On Captiva, 18 homes sold last year, compared to 23 closed sales to-date there, with another home under contract = 24 home sales or about the same as years 2011 and 2012. Here on the islands, where build-out is near, we do not have that same increase in inventory and new product. With just 142 Sanibel homes currently for sale (and 44 on Captiva), island Realtors® just hope there is have enough product to sell this winter. Condominium inventory is low too, with just 122 Sanibel condos for sale (37 on Captiva), compared to the 168 Sanibel condos that have sold this year (23 on Captiva). The island market continues to rebound! “4. Foreclosures are falling. In October, distressed home sales dropped into the single digits for the third month this year. Distressed sales, which include foreclosures and short sales, fell to 9% in October, compared to 14% a year ago, NAR reports. Foreclosures and short sales typically sell at a discount — 15% or 10% below market value, respectively — and can place downward pressure on overall home prices in an area. The decrease in foreclosures is helping more home values to stabilize in communities. Thankfully, the islands did not have many foreclosures, but for those Realtors® who sell off-island throughout the other communities in Lee County. They agree. Yes, island prices are stabilizing too. The average Sanibel home price has been over $800K since 2011, while condo prices did not really jump until this year. 2014 Sanibel average condo price = $666,072. That average has not been over $600K since 2010. On Captiva where the market is smaller, the averages are not as discerning; but even so, the average Captiva home price was $2.8M this year, compared to $2.5M last year, and $1.5M in 2012. Average Captiva condo sale price this year is $646,350, not much different from last year, $659,185. “Sales of million-dollar homes are soaring: Deals on existing homes priced above $1 million climbed more than 16% in October compared to a year ago, according to National Association of REALTORS® housing data. The increase was bigger than any other price segment. “There is little volatility in the stock market. It is whoppingly higher, so people in the top 10% of wealth are really feeling confident now,” says Lawrence Yun, NAR’s chief economist. “Sales are also rebounding for listings in the $750,000 to $1 million range, up 12% year-over-year according to NAR. Meanwhile, sales of homes priced under $100,000 dropped 6% year-over-year in October. The largest growth in luxury markets were mostly centered in Miami; Los Angeles; Riverside, Calif.; and New York. International buyers—particularly those from China, Canada, Europe, Russia, and South America—are continuing to help drive up the U.S. luxury market. Software that is not easily viewed on mobile devices (such as Flash) is avoided. The text is readable without the visitor having to zoom in. The site automatically sizes the content to fit the screen, so that visitors don’t have to scroll across or zoom to view the page’s contents. Links are far enough apart so visitors can tap them with ease. “To find out how mobile-friendly your site is, Google offers a Mobile-Friendly Test. You can plug in your URL and you’ll receive a report on how mobile-friendly the page is. The criteria could later be used to determine where your site falls in search results. I got a phone call today with a referral from a fellow RSPS. That is a Realtor® who also holds the Resort & 2nd-Home Property Specialist designation. Though I teach the segment about this same subject during our local Association of Realtors® island designation class series, it has always surprised me that only six local Realtors® (yours truly included) have taken the time to earn this national designation. I know for a fact that many island property owners also own property in other resort areas like the mountains of Aspen, Steamboat Springs, New England’s White Mountains, and the Carolinas; the beaches of Cape Cod and Hawaii, plus the Pacific/Atlantic seaboards, and the Great Lake areas. So, I hope those referrals keep coming, the islands are a great fit for buyers looking to invest in the resort and 2nd-home market. 1 price change: Seashells #15 2/2 now $324.9K. 3 new sales: Sundial #J203 1/1 listed for $425K, Sundial #G101 2/2 listed for $445K. Compass Point #101 3/2 listed for $1.169M. 3 closed sales: Ibis at The Sanctuary Ibis #301 2/2 $421K, Nutmeg Village #107 #2/2 $615K, Plantation Village #B321 3/3 $2.075M. 6 new listings: 1712/1714 Sand Pebble Way 4/2 duplex $399K; 999 Dixie Beach Blvd 3/2 $599K; 9032 Mockingbird Dr 3/2 $649,946; 1490 Middle Gulf Dr 3/4.5 $1.859M; 1137 Golden Olive Ct 5/3.5 $2.275M; 1204 Isabel Dr 3/3.5 $4.1M. 4 price changes: 564 Hideaway Ct 3/2 now $589K, 1717 Windward Way 3/2 now $649K, 1528 Angel Dr 3/2 now $849K, 1272 Isabel Dr 3/3.5 now $3.895M. 8 new sales: 1644 Bunting Ln 3/3 listed for $495K, 660 Durion Ct 2/2 listed for $549K, 1477 Albatross Rd 4/3 listed for $598.8K, 1207 Par View Dr 3/2 listed for $759K, 1674 Sabal Palm Dr 3/3 listed for $865K, 501 Sea Walk Ct 3/2 listed for $889K, 9448 Cotten Ct 3/2 listed for $898K, 1779 Venus Dr 4/5.5 listed for $3.998M. 2 closed sales: 3990 Coquina Dr 3/2 $570K, 1777 Serenity Ln 5/4.5 $754K. 1 closed sale: 776 Birdie View Pt $375K. 1 new listing: Bayside Villas #5320 3/3 $650K. 2 closed sales: Bayside Villas #5230 1/2 $280.5K, Sunset Beach Villas #2218 2/2 $568.5K. 3 new listings: 14981 Binder Dr 3/3 $1.149M, 11500 Chapin Ln 4/4.5 $2.195M, 15009 Binder Dr 4/5.5 $4.295M. 3 price changes: 43 Oster Ct 2/2.5 now $784.9K, 15747 Captiva Dr 6/6.5 now $5.995M, 16428 Captiva Dr 7/8/2 now $9.5M. 1 new sale: 11520 Laika Ln 2/2 listed for $2.75M. It is the end of another pretty quiet week on the islands. We had a few listings shown this week and I was out showing property too. It couldn’t be a better time to look – easy access, great prices, and low interest rates for those looking for financing. On Tues, I attended a presentation at our local Association of Realtors® office by our Realtor® state and national political representatives. It was interesting to hear how slow the wheels of motion are moving in both Tallahassee and Washington on the important issues that are affecting the real estate market both locally and throughout the country. I also answered “calls to action” this week on continuing the National Flood Insurance Program and FHA loan limits. Please keep your state representatives aware of your feelings on these important issues too. Last summer I became Transnational Referral Certified (TRC) and am one of only two island agents to hold that designation. The designation is sponsored by the International Corsortium of Real Estate Associations (ICREA) which is a global referral network which recently expanded from 41 to 121 countries, including the United States. ICREA is a group of the world’s leading real estate associations and sets standards for international real estate practice and facilitates worldwide real estate transactions through its website, WorldProperties.com. The website is being revised and recently was posted in new Beta version. Listings will only be entered as Realtors® pay to subscribe. SanibelSusan’s listings will be among the first! As the global version of the national website Realtor.com, WorldProperties.com is an excellent source of prospective buyers, particularly those looking to Florida for investment. Over the course of the summer as our listings get posted, I will be updating the listing information to include multiple photos and descriptions more in keeping with international buyers. When they are fully up and running, it will be fun to search for property and then have it translated into one of the many languages that will be offered. Here’s hoping this endeavor brings us more international buyers. We have done a fair amount of business with them already this year and look forward to more. 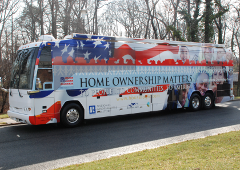 Our National Association of Realtors® bus promoting home ownership is back on the road this weekend with July stops scheduled in Georgia, Alabama, and Tennessee. Previous stops covered most of the western and mid-western states, including at our Realtor® headquarters in Chicago. What Does It Really Mean When You Hear That Foreclosure Activity Is Down? An Associated Press article posted yesterday said that “the number of homes taken back by lenders in the first half of this year fell 30% compared with the same 2010 period, the result of delays in foreclosure processing that threatens to stall a U.S. housing recovery…. The decline reflects lenders taking longer to move against homeowners who have fallen behind on their mortgage payments. The banks are working through foreclosure documentation problems that first surfaced last fall and an ensuing logjam in some state courts. Lenders also have put off on taking action against delinquent borrowers as U.S. home sales have slowed this year. As the processing delays mount, however, so has the backlog of potential foreclosures – homes that otherwise would have been repossessed by lenders this year. RealtyTrac estimates that 1 million foreclosure-related notices that should have been filed by banks this year will be pushed to next year….The delayed filings buy more time for many borrowers behind in payments to remain in their homes, perhaps giving them time to catch up or simply to stall their inevitable eviction. But it also means any eventual foreclosures will happen next year, extending the shadow of distressed properties that hovers over the market. ““The best-case scenario is we don’t get back to normal levels of foreclosure activity until 2015, which means the housing market recovery gets delayed by at least a year,” said Rick Sharga, a senior vice president at RealtyTrac. “And given delays in the time it’s taking lenders to move a home from default to foreclosure and then sell the property, the housing turnaround could conceivably be pushed out to as late as 2016”, Sharga said. “It could be the new reality is we’re going to have to accept the fact that home prices in most markets aren’t going to budge much for the next several years while this overhang gradually, painfully makes its way into the market and gets purchased,” he said. What’s Happening With Citizens Property Insurance Corp? 1 new listing: Tennisplace #D23 1/1 $175K (short sale). 4 price changes: Sundial #B301 1/1 now $315K, Sundial #C303 2/2 now $499K, Pelicans Roost #302 2/2 now $830K, Wedgewood #305 3/3.5 now $1.475M. 1 new sale: Sundial #G207 1/1 listed for $245K (short sale). 6 closed sales: Spanish Cay #C1 2/2 $332K (our buyer), Heron at The Sanctuary #1B 2/3.5 $500K, Sandy Bend #2 2/2 $535K, Nutmeg Village #206 2/2 $540K, Sundial #E104 2/2 $686K (foreclosure), Signal Inn #13 4/3 $800K. 2 new listings: 954 Donax St 3/3 $425K, 909 Snowberry Ln 3/3 $2.15M. 4 price changes: 9248 Belding Dr 3/2 now $269K, 317 Palm Lake Dr 3/3 now $645K, 970 Victoria Way 3/3 now $995K, 1052 Whisperwood Way 3/3 now $1.495M. 5 closed sales: 535 Piedmont Rd 3/2 $305K, 1133 Schooner Pl 5/2 duplex $350K, 1528 Angel Dr 3/2 $500K, 1162 Kittiwake Cir 3/3.5 $1.2M, 4443 Waters Edge Ln 3/2.5 $2.1M. 1 price change: 2418 Blue Crab Ct now $164.9K. 1 price change: Beach Homes #15 4/3 now $1.995M. 1 new sale: Sunset Captiva #202 2/2 listed for $789K. 1 new listing: 15009 Binder Dr 4/5.5 $4.495M. 1 price change: 17061 Captiva Dr 4/3.5 now $1,799,999.